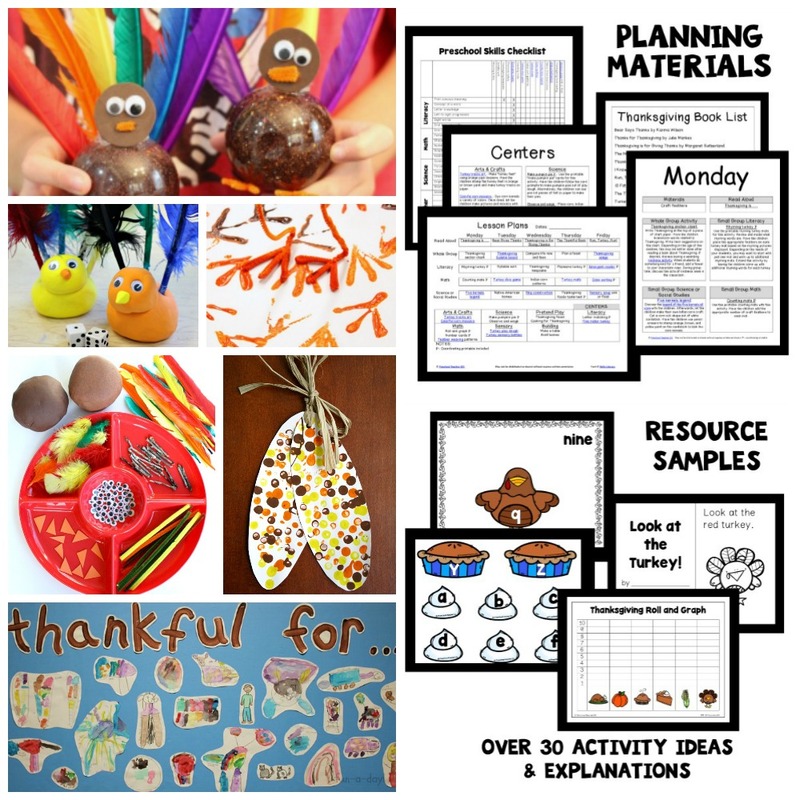 Why use tracing sheets when there are so many fun hands-on ways to learn letters? We often use (and re-use!) alphabet mats to help with letter recognition and letter formation. They are fantastic for tactile learners! Since our apple abc mats were such a hit with kids, we’re making a few additonal free printable sets to continue the learning into different seasons. 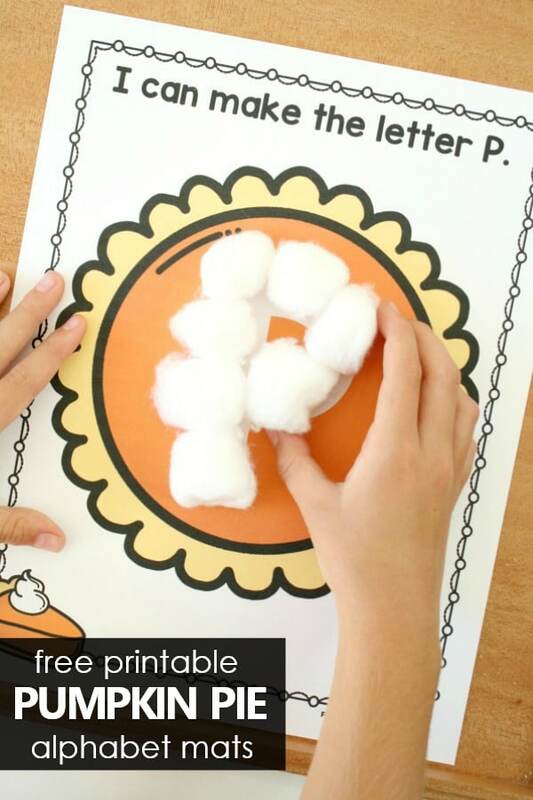 During our Thanksgiving theme we made these Pumpkin Pie Preschool Alphabet Printables. Here I’m outlining some of the ways we use them, and you can even get your own free printable 106-page set of pumpkin pie alphabet mats at the end of the post. 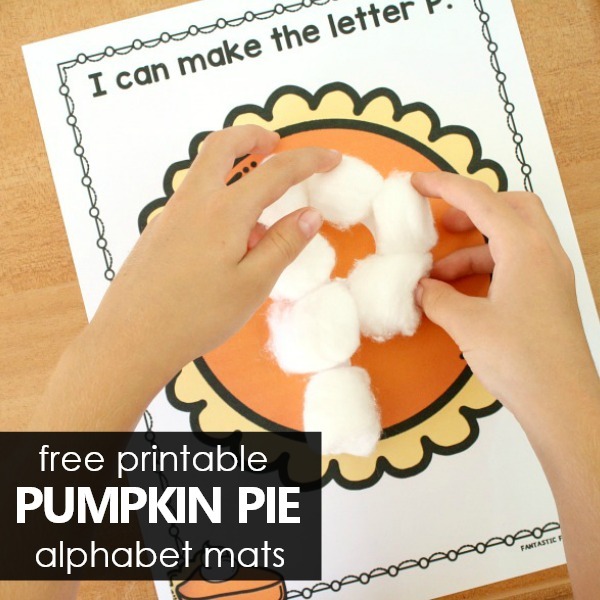 The free printable pumpkin pie alphabet mats are designed one to a page. This gives you a lot of options for printing. Some activities require a full page per letter, while others work best with a smaller 1/2 page or 1/4 page format. Simply change your printer options to print 1 per page, 2 per page or 4 per page to get the desired layout for your activities. I also highly recommend laminating these or using dry erase pockets so you can use them over and over again. If you prefer not to print in color, I’ve also included a black and white set in the free printable. 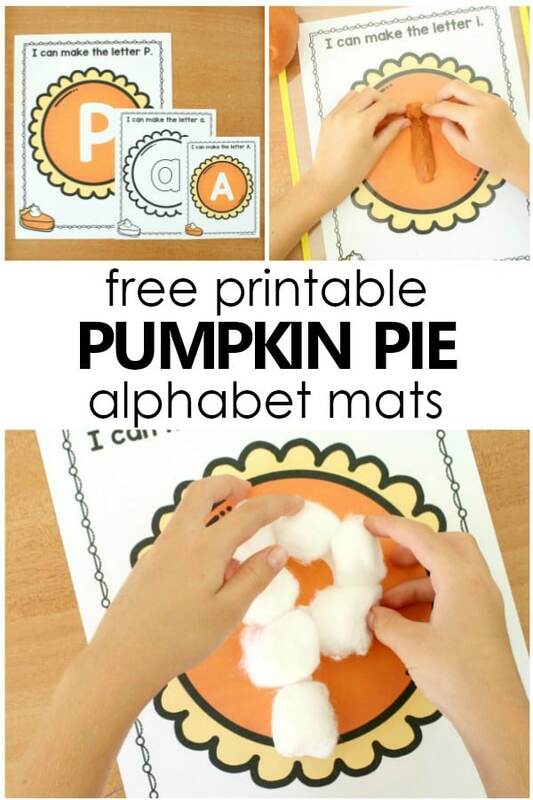 Watch this quick video clip to see some of the ways we use these Pumpkin Pie ABC mats. There are so many possibilities! 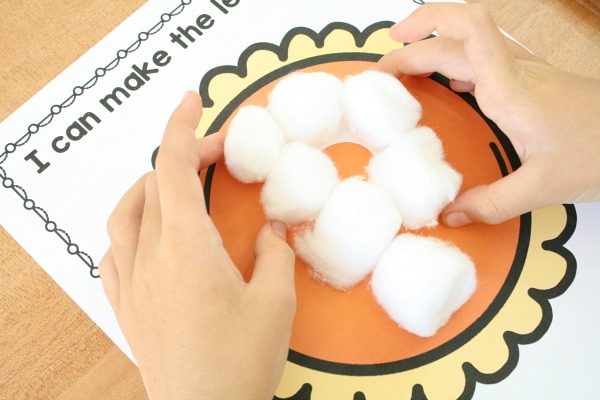 Combine loose parts and the pumpkin pie letter mats for an easy, no mess alphabet center activity. Here we used white cotton balls to represent whipped cream. You might also use mini marshmallows, white pony beads, or white glass gems. If your kids love play dough activities (our favorite! 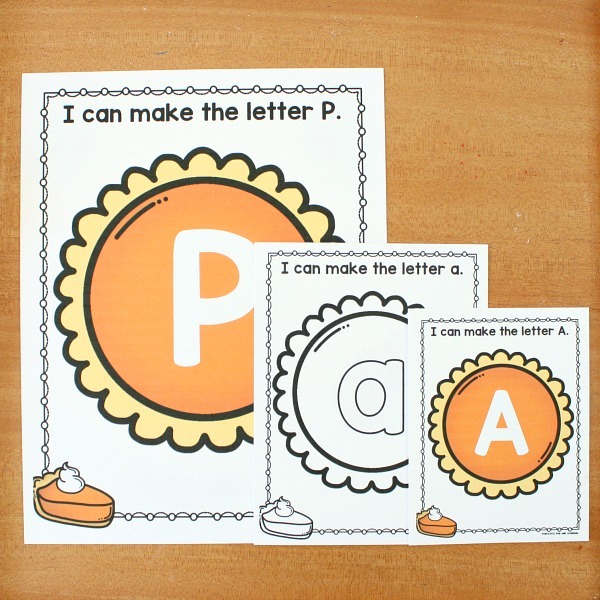 ), then combine these letter mats with scented pumpkin play dough. Since I love getting extended use out of our batches of seasonal play dough, we used the same play dough that we made for our pumpkin pie play dough fractions pretend play. To make it I started with an easy play dough recipeand added orange food coloring and pumpkin pie spice. It smells fabulous! Kids get tons of fine motor practice as they roll play dough snakes and form each letter. And finally once kids are showing an interest in writing, let them use dry erase markers to write the letters. You can print and laminate these into flip books for kids to draw and erase over and over again. 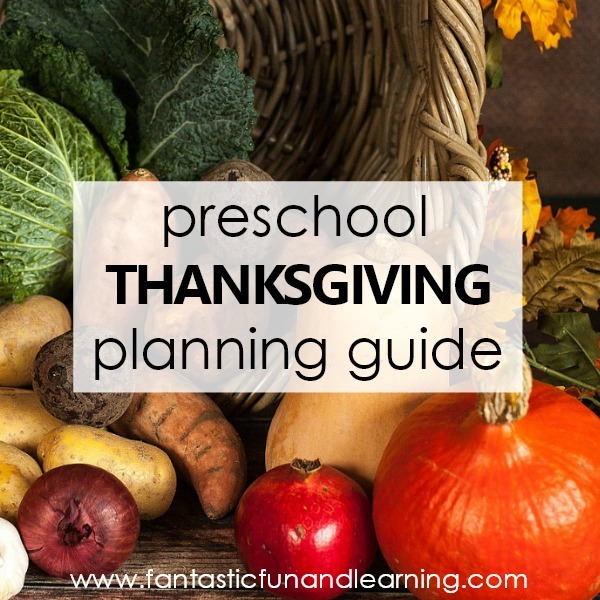 Find all of our Thanksgiving theme resources in our preschool Thanksgiving theme planning guide.